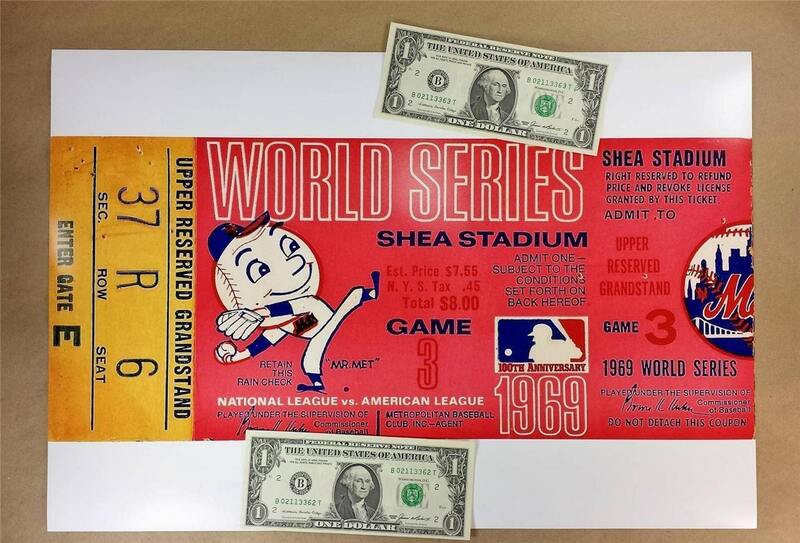 1969 New York Mets World Series Game 3 Ticket Photograph / Pro Quality 13 x 19 Image Perfect For Framing - Great Gift for any Baseball Fan! 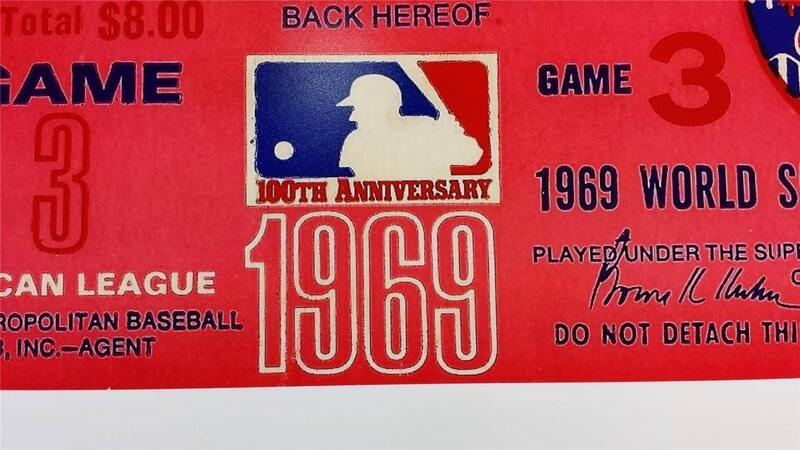 1969 New York Mets World Series Game 3 Ticket Photograph / Pro Quality 13 x 19" Image Perfect For Framing - Great Gift for any Baseball Fan! 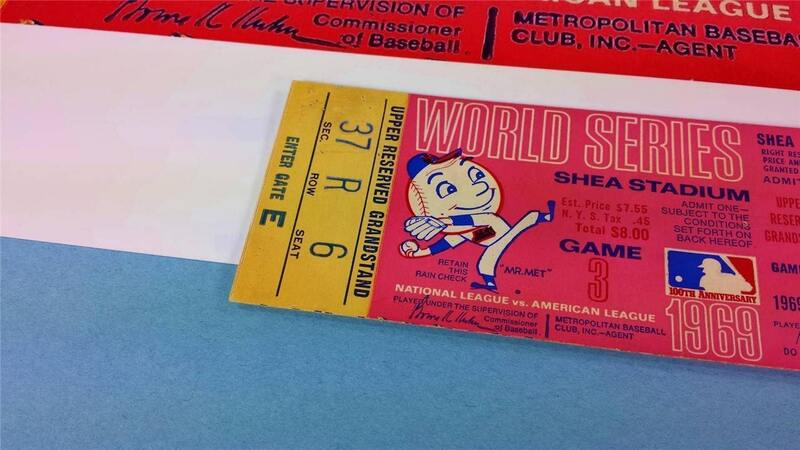 ticket from game 3 which was played at Shea Stadium in October 1969. 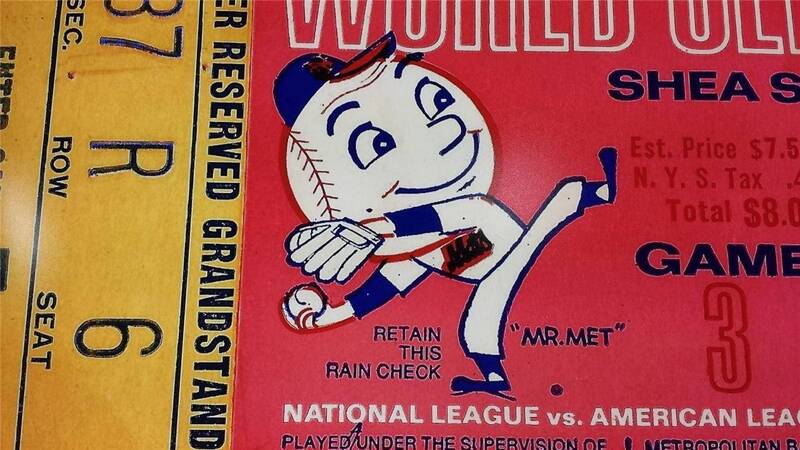 This was the first ever WS game played at Shea! or treat yourself to something really nice! This photograph is from my original ticket... not a copy of a copy. Overall size is 13 x 19 inches... ticket image size is 8.25 x 19 inches. Printed on Canon's best photographic paper using a Canon Pro 100 printer. No fading or loss of color! Ready to be framed and hung proudly! *** This is from my actual ticket that was used for the game!!! - Image 4 shows the original ticket that was used. - Image 2 shows the size of the print as compared to a US dollar (not included). or less of your payment! Often SAME DAY!